Uros Baric is a classical guitarist, guitar instructor and music producer from Slovenia. He holds a Master’s Degree from Universität für Musik und darstellende Kunst in Vienna, where he graduated with honors in 2011, in the class of world-renowned guitarist Alvaro Pierri. During his early studies he won several highest prizes in international competitions for young musicians, including 1st prize at Concorso Europeo di Chitarra Classica Premio Enrico Mercatali in 2004 and 2nd prize at Concorso Internazionale “Città di San Bartolomeo al mare” in 2005. Uros has performed several concerts in Slovenia, Austria, Italy, Switzerland, Scotland, Czech Republic and Slovakia. He has given solo recitals at national music festivals like “Glasbena mladina ljubljanska” and performed on a series of concerts for “GM oder Jeunesses Musicales”, including a solo recital in the Slovenian Philharmonic Hall in Ljubljana, which was recorded by Radio Slovenia for the “Ars” programme. He has also played concerts at festivals like Classical Guitar Retreat, Kras Guitar Festival, Lent, ECHOS Festival and Postojna International Guitar Festival. In 2014 he released his debut solo album Fernando Sor and played a solo recital at the prestigious concert cycle “Sounds of Classics” at Ljubljana Castle, which received acclaim by the RTV Slovenia reviewer. 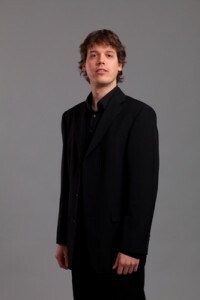 Uros performs regularly in AirString Duo with flutist Luka Zeleznik, with whom he won 1st prize at international competition »Città di Gorizia« in 2011 and has performed concerts in numerous European countries. With a view of music as a universal means of expression, Uros sets no boundaries to the music he dedicates himself to. His classical repertoire embraces works of all epochs including contemporary compositions and he is equally attracted to other musical styles like Pop, Jazz and Latin music. Uros is the founder of Guitarise.com, a popular online classical guitar learning platform, as well as of Baros Records, an independent record label and recording studio focused on releasing high quality classical guitar music albums and sheet music.